Simon read Law at The University of Leicester and undertook the BVC at Manchester Metropolitan University. He was called to the Bar by Gray’s Inn in 2003. He was called to the Legal Profession of New South Wales in 2011. 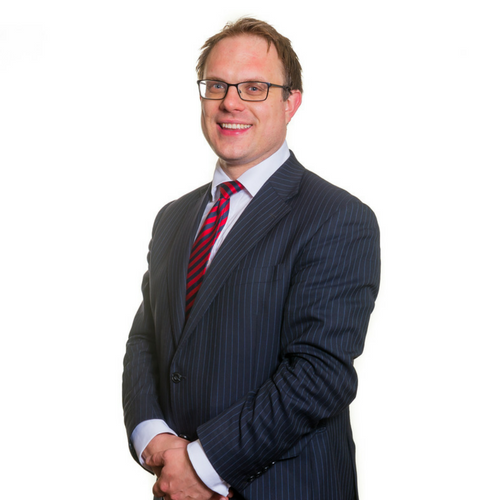 Simon has a wide practice across civil and employment litigation and family work. Simon has a wide range of experience in Insolvency Matters acting for both individuals and creditors. General Commercial litigation – including contract disputes, partnership disputes, Companies Act regulation and shareholder actions. During the course of his practice Simon has accumulated extensive experience of dealing with costs arguments and regularly represent both paying and receiving parties at cost management hearings and detailed assessments. Simon has an ever increasing practice in the field of Court of Protection work. His area of practice includes dealing with welfare and property issues as well as general affairs. Simon has extensive experience of medium – high net worth cases including those involving business interests. Simon has a wide experience of acting in a wide range of private Children Act cases for parents, relatives and children with party status. Simon has experience in Inquest work, in particular acting for interested parties. He has particular expertise in matters touching upon the practices and procedures of mental health and social care professionals. The Inquest of EB 2016: Representing a Local Authority as interested party in an inquest involving the death of an elderly patient in a care home. Simon regularly represents private landlords in possession claims, disrepair clams and tenancy deposit schemes. Simon acts for both landlords and tenants in commercial property disputes and has experience of dealing with application for renewal of tenancies, forfeiture and wrongful eviction. He also has experience of dealing with applications for financial provision by unmarried parents under Schedule One Children Act 1989. Simon also accepts instructions for claims under ToLATA in a business context. Simon represented a Local Authority who were sued by Bernice Wilson, a British sprinter who was suspended after failing a drugs test at the Bedford International Games in June 2012. She was found to have been taking testosterone and performance enhancing drug clenbuterol. She was dismissed from her employment as a consequence and took the matter to Employment Tribunal. Simon acted for the employer and successfully resisted the claim. Simon is accredited to receive instructions directly from members of the public through the Public Access Scheme.